Northland Rough Top Belts, are available with rough pattern on the carrying side of the belt, suitable for transportation at inclined angles of light weight materials and packages that may otherwise roll down easily. 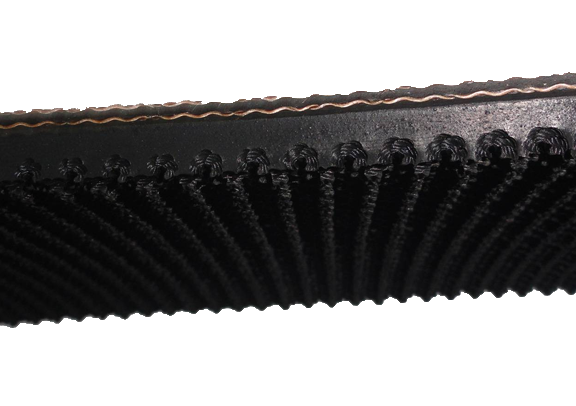 The belts are manufactured, with the top surface having a rough pattern as shown in the picture (picture in website) , in widths up to 1500 mm wide in 2 or 3 plies with different rubber cover grades. The belts can be supplied with open ends as well as in endless lengths depending on the application. Northland Rough Top Conveyor Belts are suitable for conveying of unit loads such as packaged goods, crates, bags, boxes, tyres, etc.